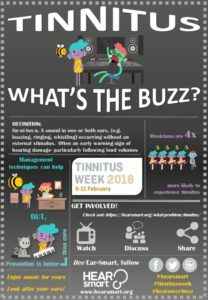 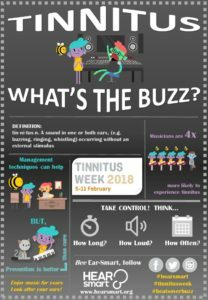 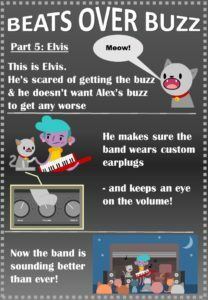 Tinnitus is something many young music students have experienced and it can provide a great gateway to conversations about hearing health. 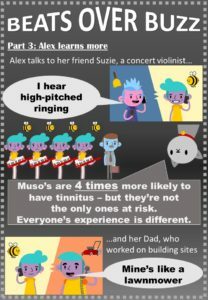 We’re inviting music teachers to make Tinnitus Week a time to start talking about hearing health with their students. 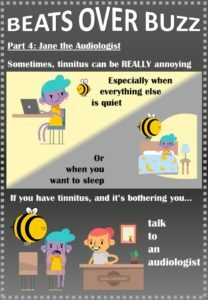 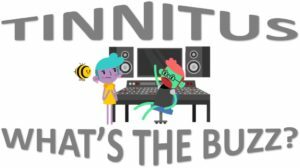 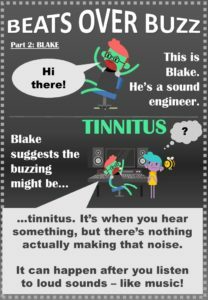 Watch our short video about tinnitus, encourage your students to do the same, have and a chat about tinnitus and hearing health with your students. 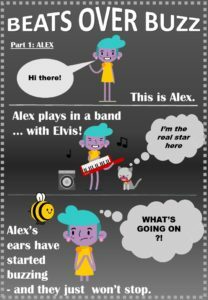 We’ve put together some fun posters featuring different characters from the video to help get the conversation started.